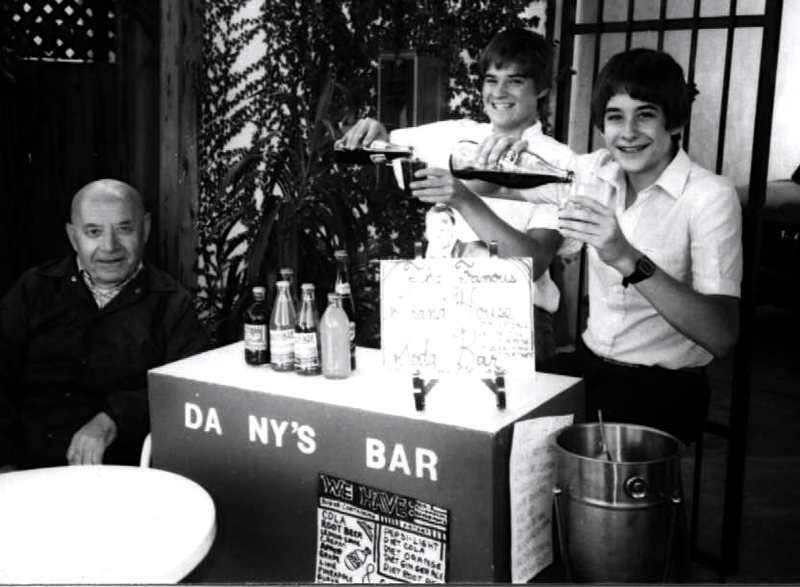 Danny Ginsburg started collecting bottle caps when he was 4 years old. It had started as a game when he was much younger… with baby food lids.He would save, organize, memorize the product codes and collect, until life moved on and baby food was no longer the cuisine du jour! Did I mention that Danny is one of the smartest people I know? At four years old, on a family hike, he was tired, bored and complaining. His mother suggested finding something to do for fun and pointed at a Pepsi bottle cap on the ground. She said how they were a ” different kind of lid” and that there would always be bottle caps to find, no matter how old you were. So began a search for caps, research into bottling plants and factories, stops at the rest areas on highways to see what truck drivers may have thrown out and letter writing to anyone who might have interesting bottle caps. His dream was to get a driver’s license and car, and go drive to where bottle caps where! The collection grew, and with it the need to find more and more bottled beverages. 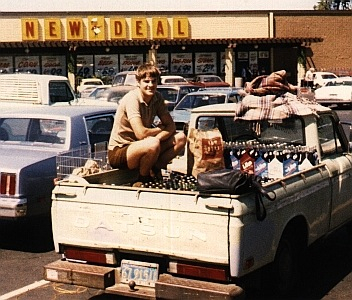 By the time he was a teenager, he was heading out to find sodas in other cities, unusual local brands from old time manufacturers, often just as they were thinking of closing up shop.He hoarded the diminishing brands, and ever the entrepreneur, brought back some extras to share or sell to friends. In an industry dominated by a few, really big players, there were possibilities and opportunities, and over the next few years Real Soda in Real Bottles managed to not only track down unique and obscure brands, but to create the beginnings of a distribution network. 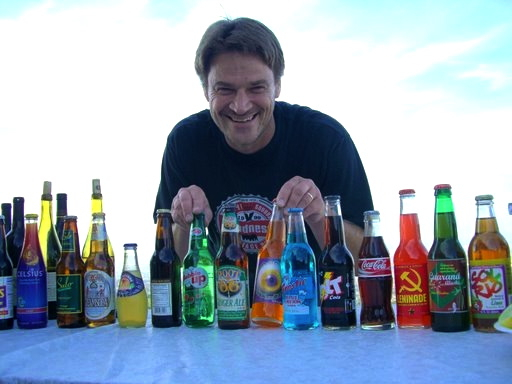 From a small start in the 1980’s, to obtaining a business license in 1991, Real Soda in Real Bottles is now the major distributor of independent, artisan sodas and a manufacturer of it’s own distinctive brands. At the same time there was a growing awareness and desire to drink soda from a glass bottle, which can easily be re used and recycled. 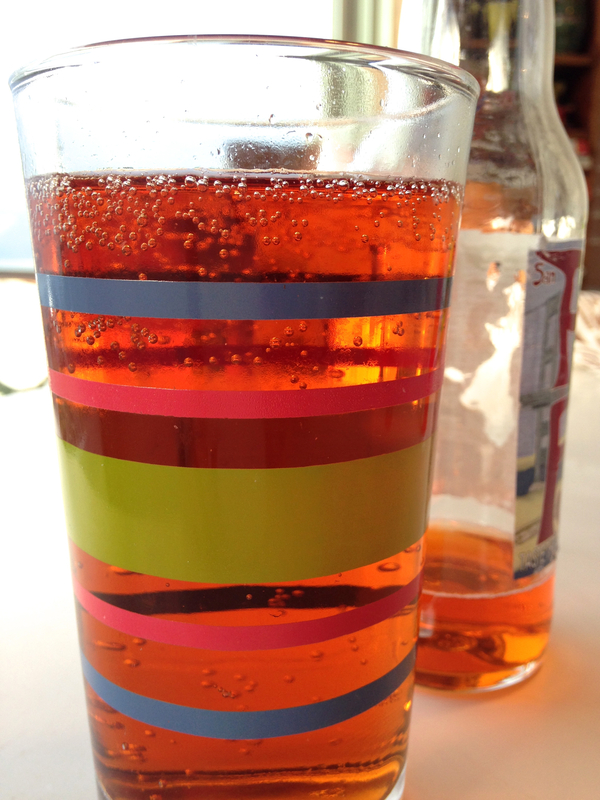 Every bottled soda is one less can or plastic nightmare. 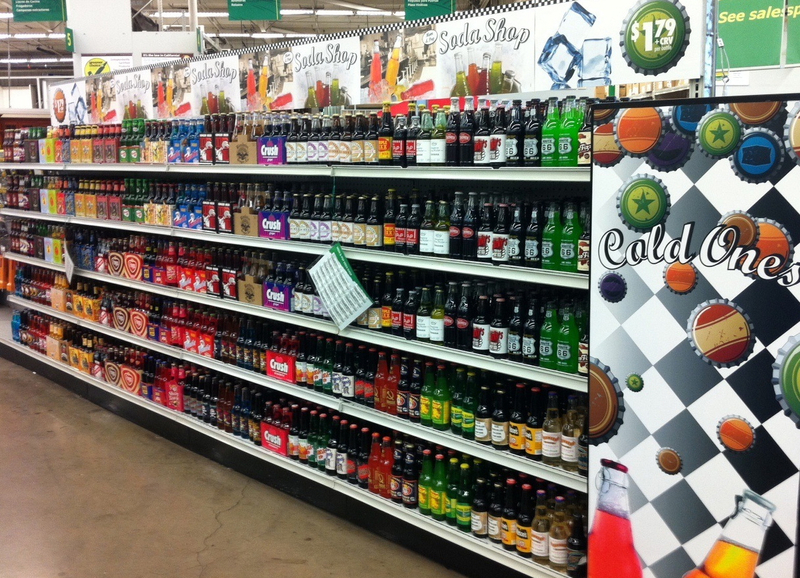 There is immense charm and silliness, and an abundance of joy which pervades the world of Real Soda in Real Bottles. The products range from kid favorites to grownup & sophisticated, historical to hysterical. 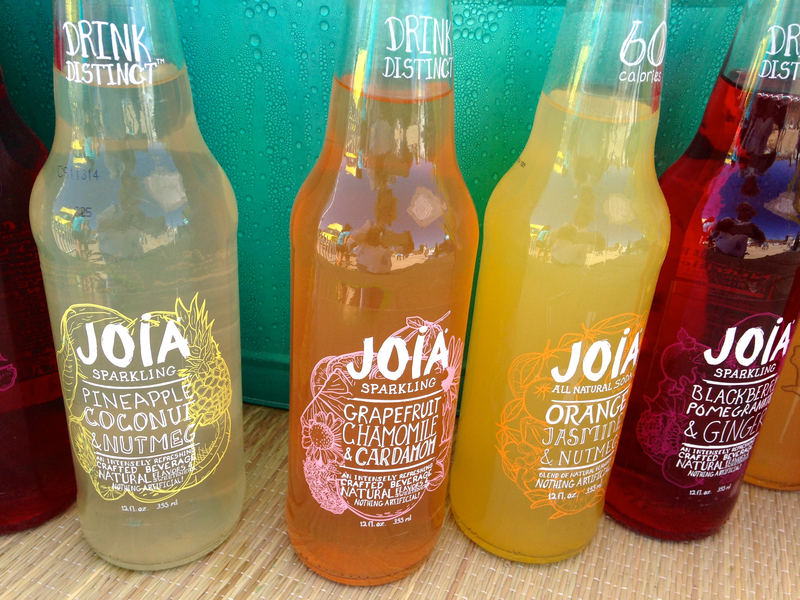 100% juices and coconut waters to caffeinated energy concoctions.Neon to crystal clear, healthy to downright decadent. Lots of old time regional brands from across the USA and imports from across the globe. 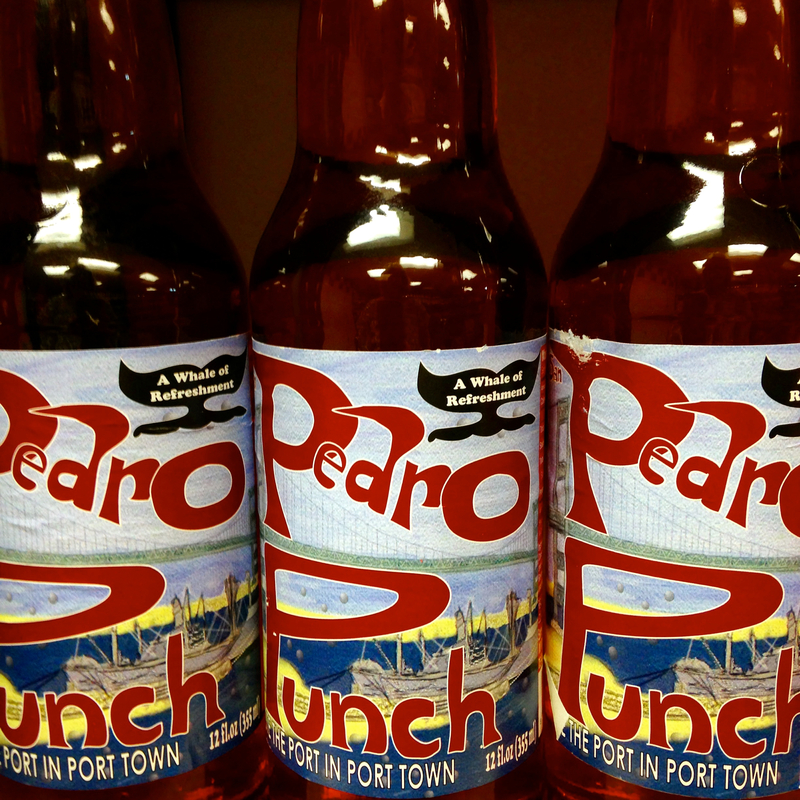 No wonder Danny describes them as the ”world’s best beverages”! The names and labels are priceless. 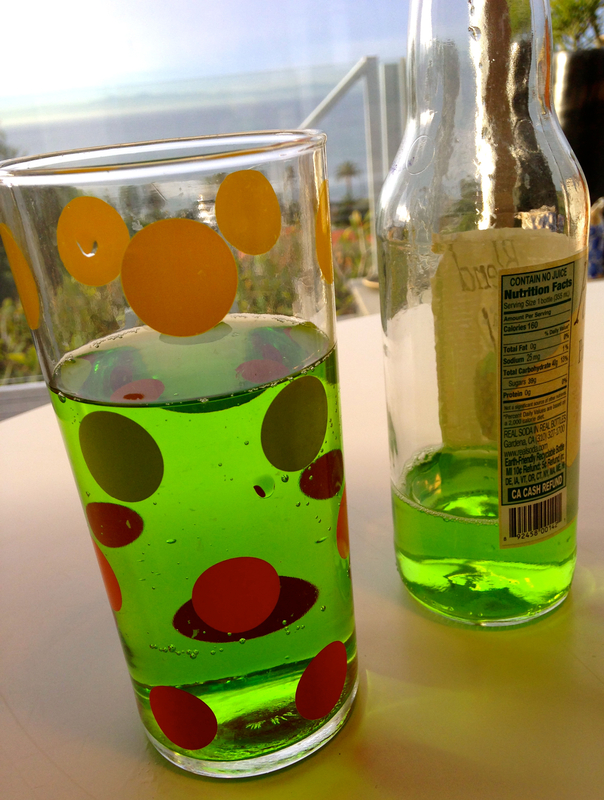 Boom Chugga Lugga Ginger Ale anyone? From a HUGE warehouse in Gardena, bottles are shipped across California and to Washington, Oregon, Idaho, Nevada and Colorado.And now across the world. It’s hard to be wildly enthusiastic about aisles of cheap canned sodas at the supermarket, even when those big companies spend millions trying to convince us to partake. 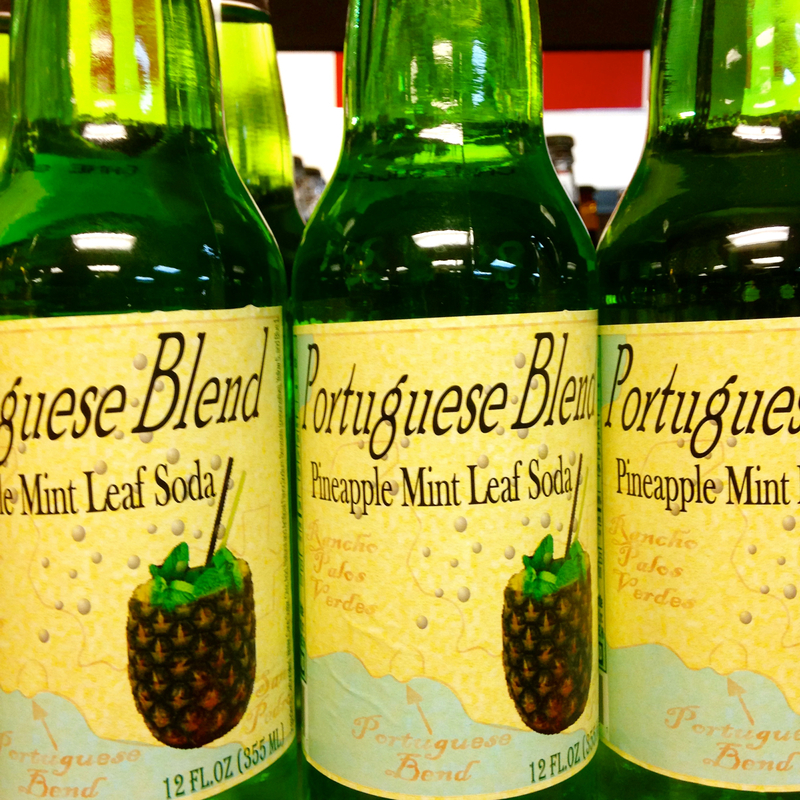 So much more fun to find a bottle of bubbly yumminess at a favorite coffeehouse, corner store or speciality deli. 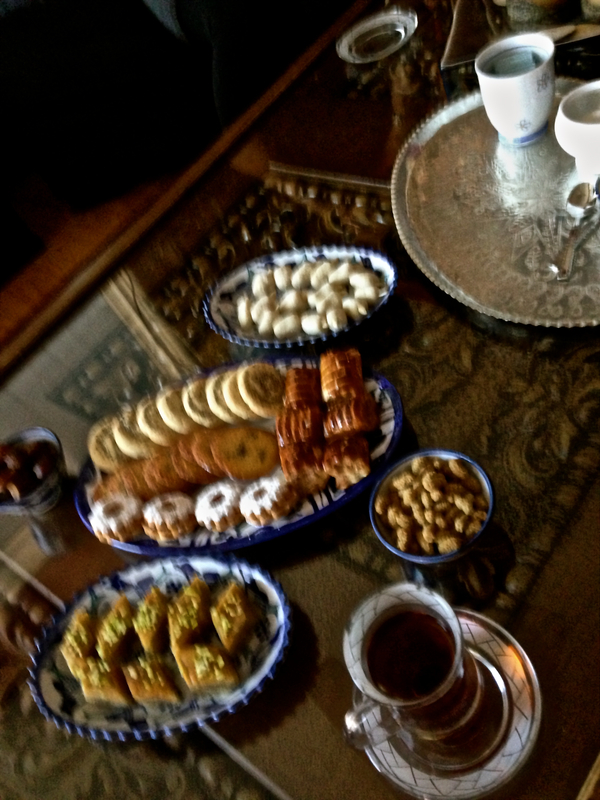 What a treat to reconnect with Sanam Lamborn, and especially over traditional persian tea and a coffee table full of sweet nibbley things: small homemade pastries, fresh berries, tiny perfumed cookies, persian baklava and dates. 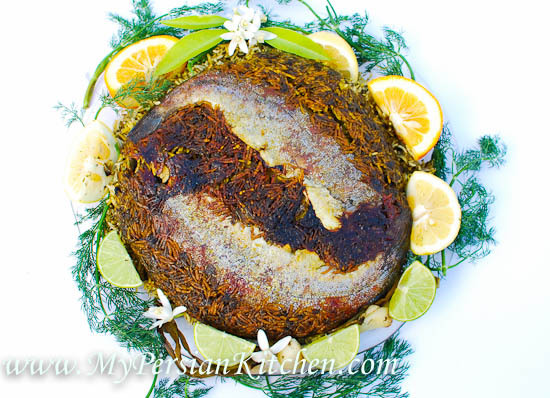 Sanam is the woman behind My Persian Kitchen, a blog devoted to exploring, enjoying and cooking Persian foods. She is followed by thousands of readers around the globe, a number which is increasing, especially as interest in Iranian food grows. Born in Iran, she moved to Rome with her mother where she lived for 10 years before settling in LA in 1990. And yes, English is her 4th language after Farsi, Italian, and French! After graduate school, and in the midst of unanticipated unemployment, she started writing a blog (in fact, Nosh Cafe made a little appearance). Her stories about food generated the most comments, questions and interest, so My Persian Kitchen was created to concentrate on the recipes of her heritage. Sanam regards Persian cuisine as one of the major “mother” cuisines of the world along side Chinese and French, and with its brilliant history, depth of ingredients, and techniques it’s hard not to be dazzled. Think the center of the Silk Road, the location and geography of Iran which allows for 4 growing seasons, and a bounty of beautiful core ingredients such as fresh green herbs (cilantro, mint, parsley, dill, tarragon), a myriad of fruits such as plums, pomegranates, quince, prunes, apricots, dates and raisins, and then spices and flavorings like saffron, dried limes, cinnamon, rose petals, cardamon to name a few. 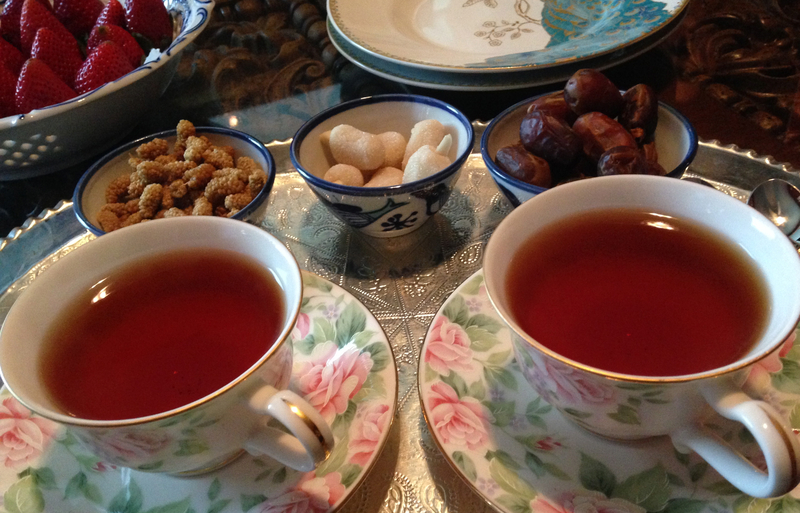 Pistachios, walnuts, almonds, and saffron are native to Iran, along with oranges and grapes. Add caviar, lamb, fish, fresh vegetables, noodles, flatbreads and basmati rice and there’s a lot to work with! Once the center of a huge Empire, Iran neighbors the former Soviet Union countries and Afghanistan, Pakistan, the Arab states and Turkey. Conquered by Alexander the Great in the 4th century, it was also invaded by Arabs, Turks, Mongols and Uzbeks. 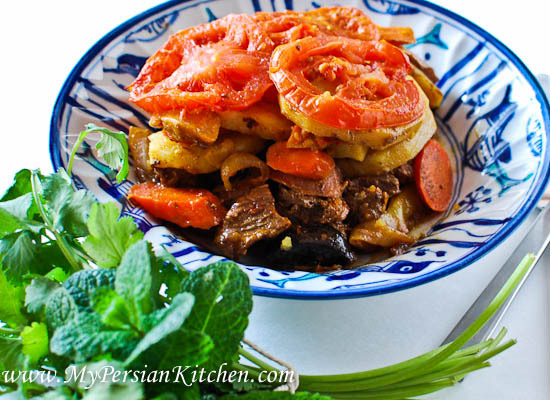 Sanam’s stories and recipes help build an awareness and knowledge of persian cuisine, which until recently tended to be overlooked in the food press and confused with other middle eastern cuisines. 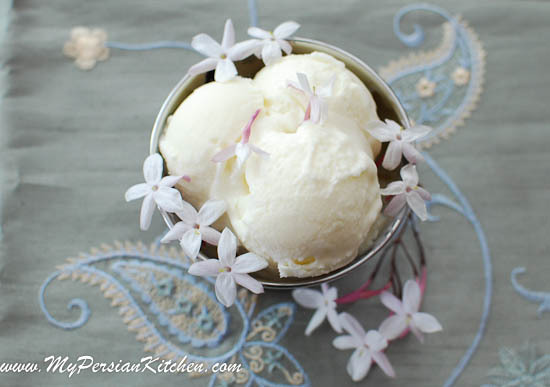 Along with detailed step by step recipes, one of the things I love about My Persian Kitchen is her “persianizing”. A good cook and an adventurous eater loves nothing better than understanding what makes a cuisine sing, getting comfortable and familiar with the elements and flavors. The next step is applying them to their own local ingredients…persianizing. Speaking for myself, I’m a little intimidated by the famous persian rice, so I love that Sanam shares her own steep learning curve with that iconic staple! Beautifully tender, but separate fluffy basmati rice, sometimes plain but often studded with treats, it’s the dish that all cooks are judged on and everyone wants to master. So delicious that its crusty bottom is served separately as a dish in its own right. 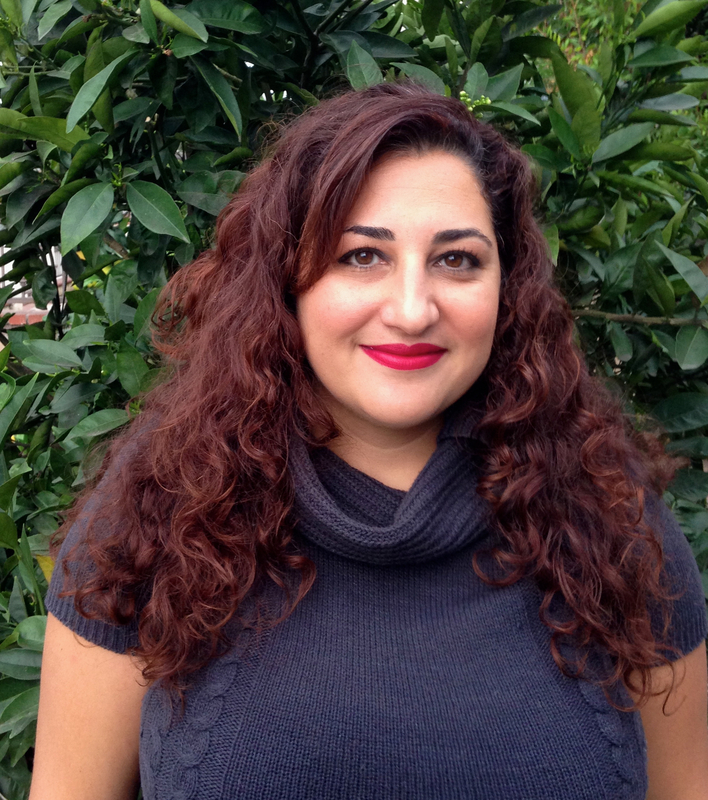 In the 6 years since My Persian Kitchen started, Sanam has been invited to write for several magazines, including Saveur and Los Angeles magazine and she is in the process of producing a series of e-books. There’s also cooking classes, demonstrations and tastings and small special catering events. 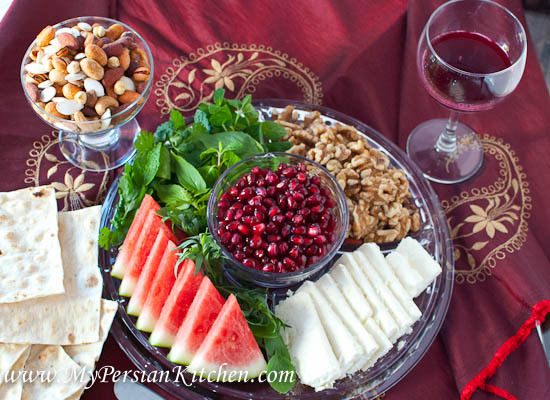 Time spent with Sanam also reinforces the essential graciousness and hospitality of Persian culture and her recipes reflect this integral component. 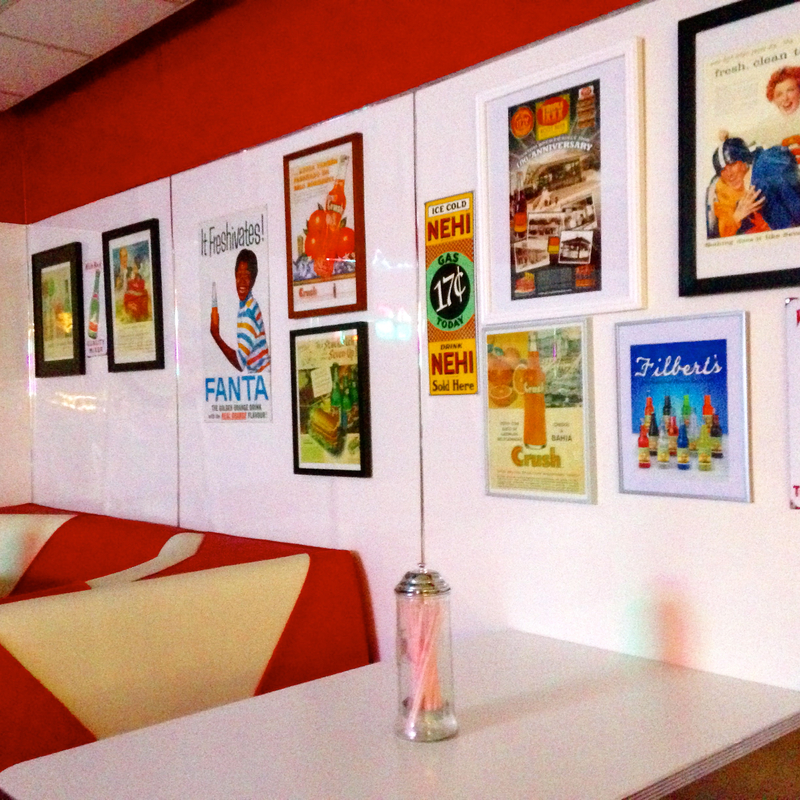 I suggest checking in to My Persian Kitchen and exploring with Sanam! and parents of a very sweet little one year old girl called Lucie. Fast forward to 2014: hundreds of appearances and events under their belt, products on the shelves at WholeFoods and speciality retailers, collaborations with artisan bakers and a whisky producer, and a new addition to the Czako family, a baby boy, Jack. From a craving for ice-cream when she was pregnant with Lucie and a desire to eat well and organically, Geri is justifiably proud of the company she and Mike have created and their USDA certified organic product. at their immaculate manufacturing facility in San Pedro. All made from scratch in small batches using locally sourced ingredients. 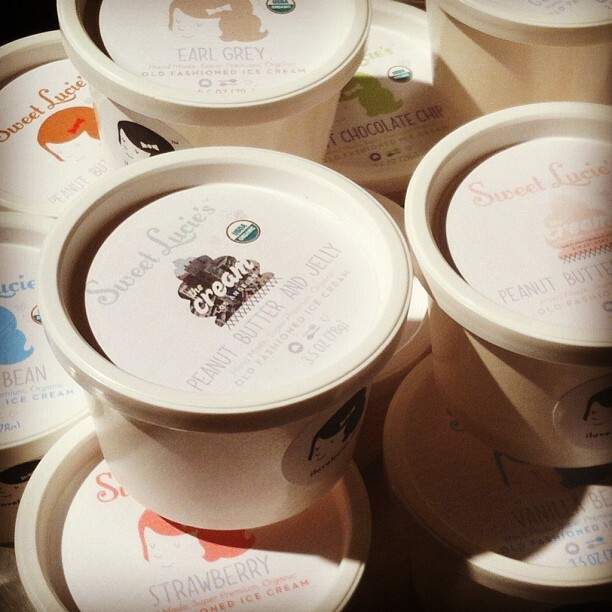 Banana, Black Sesame, Blueberry Pie, Butter Pecan…and that’s just the B’s! 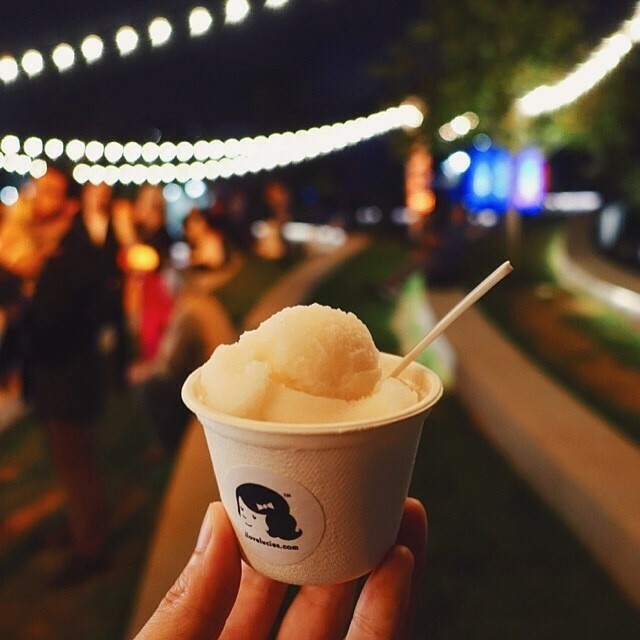 Their yummy ice cream and iconic truck are much in demand for celebrity and media events, and both the truck and the very cute gelato carts have been featured in magazines (Sunset and C to name a couple), pop videos (Katy Perry!) 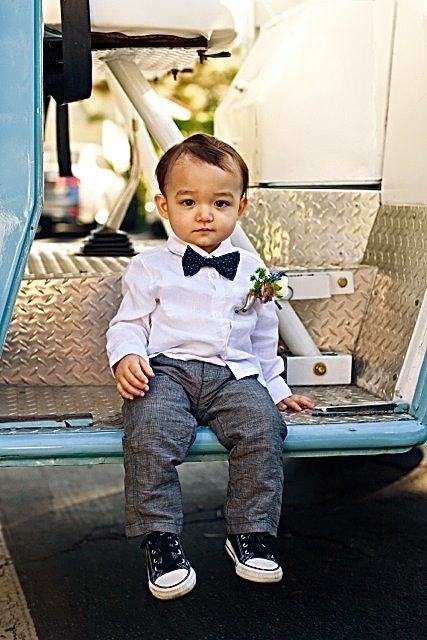 and catalog shoots (the adorable Pottery Barn Kids). 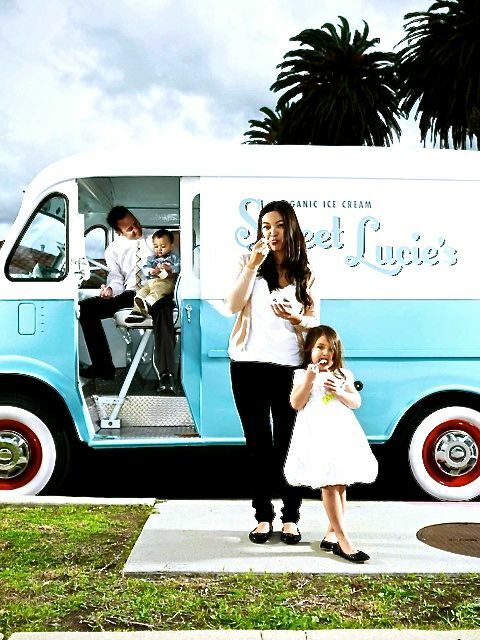 The company is now full time for Mike and Geri, with leaps forward almost every week: a brick and mortar store to open soon on the Westside, Sweet Lucie’s now scooped on the USC Campus, and even more flavors and ice cream treats being added to the mix. 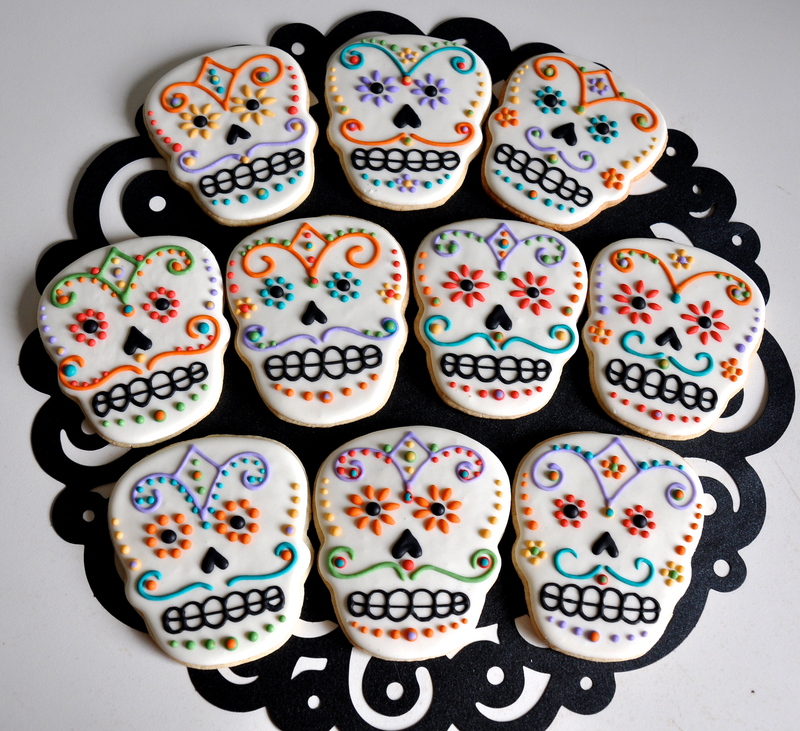 Kelley Hart Jenkins is a musician, calligrapher, fabric artist, clothing designer, and owner of bespoke decorated cookie business “Kelley Hart Custom Cookies”. She works from her design studio in the Averill Park neighborhood of San Pedro. Since she started selling small batches of seasonal themed cookies at the Corner Store over 10 years ago, she has created well over 1,000 unique designs for clients across the USA: corporations, families, event planners – even the Russian Embassy in Washington, D.C. who needed replicas of Faberge eggs for a special reception. 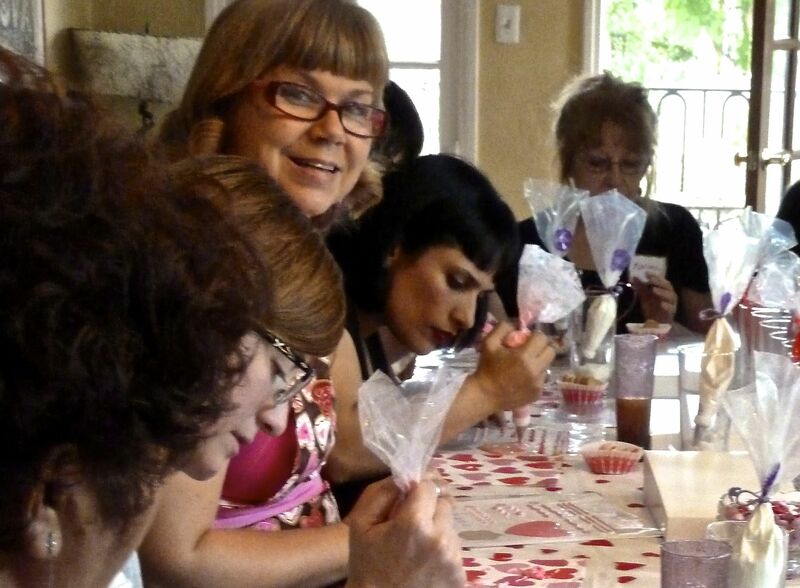 She bakes, creates, teaches, and ships the edible art pieces. 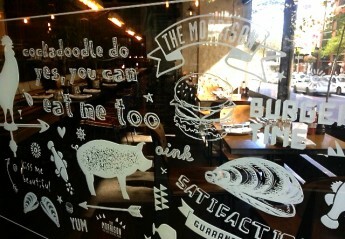 Inventive and graphic, the designs are colorful and seemingly too special to eat but they are impossible to resist. The experienced baker shines through with each delicious mouthful. 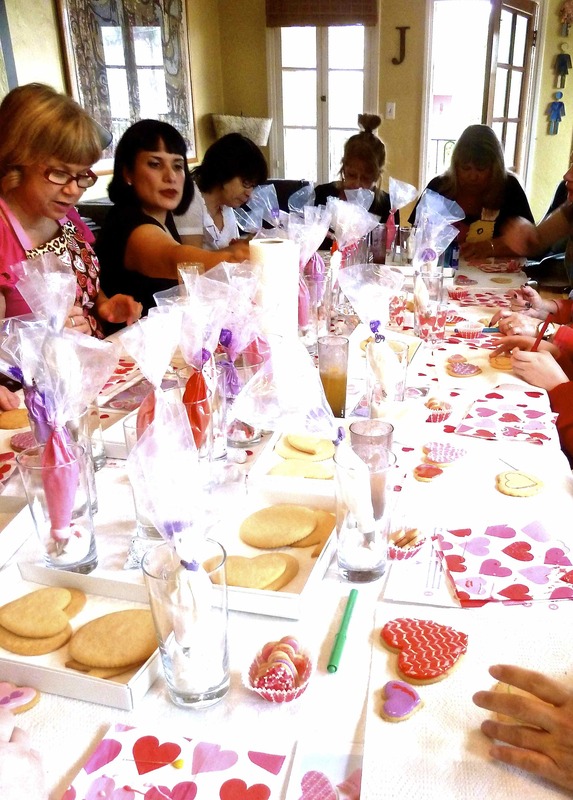 Each season Kelley offers cookie decorating classes at the studio. It’s always a festive atmosphere, with a signature cocktail included! 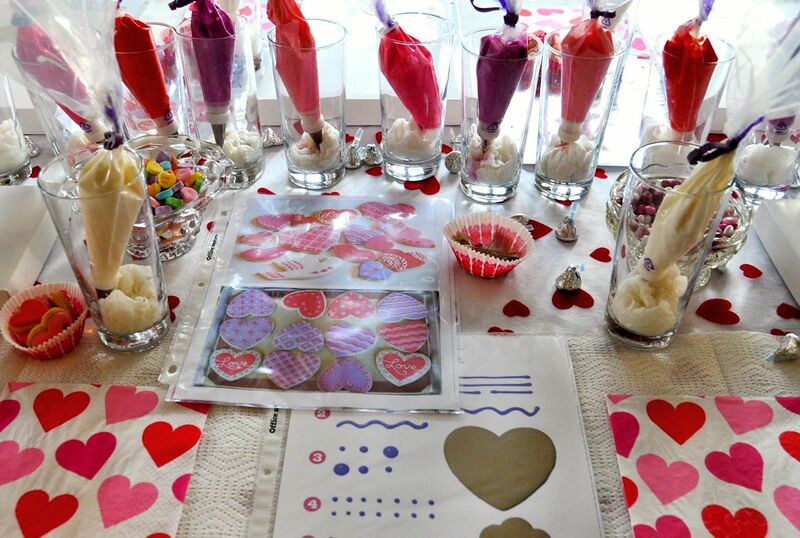 Valentine classes are scheduled for January 30th and 31st. 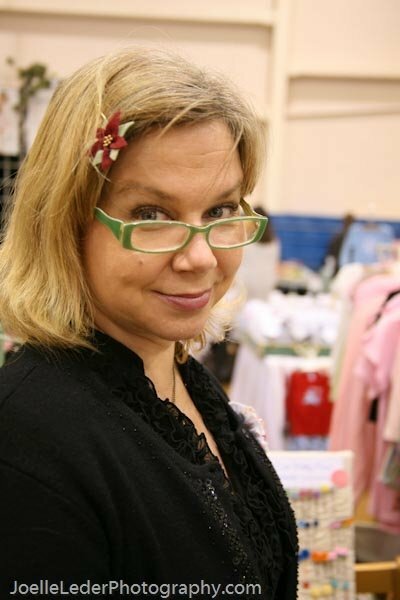 She is also expanding and developing her clothing line division “Kelley Hart Creations”: adorable reworkings of classic children’s clothes using repurposed vintage fabrics, treasured crochet and knitted pieces, and whimsical complementary gift items. 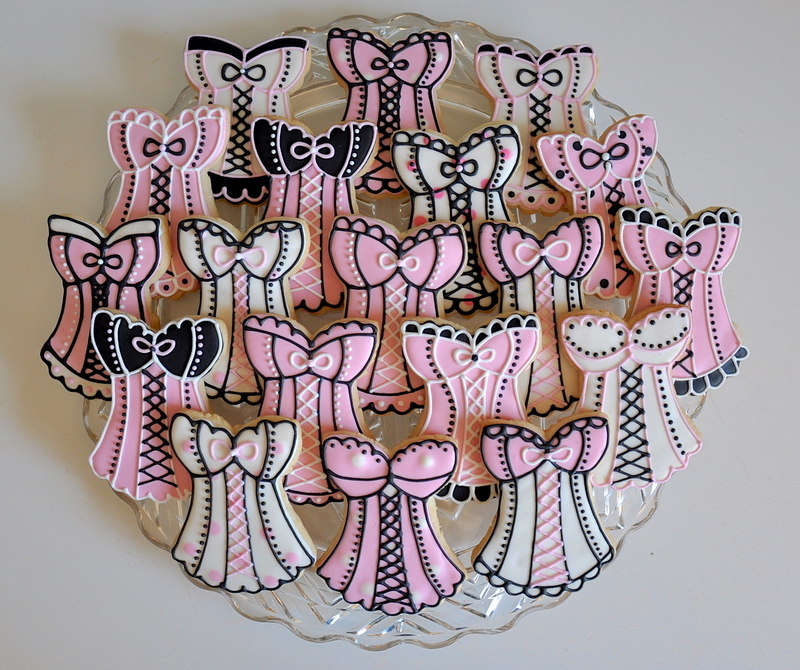 Keep up with all things cookies on Facebook at Kelley Hart Custom Cookies. 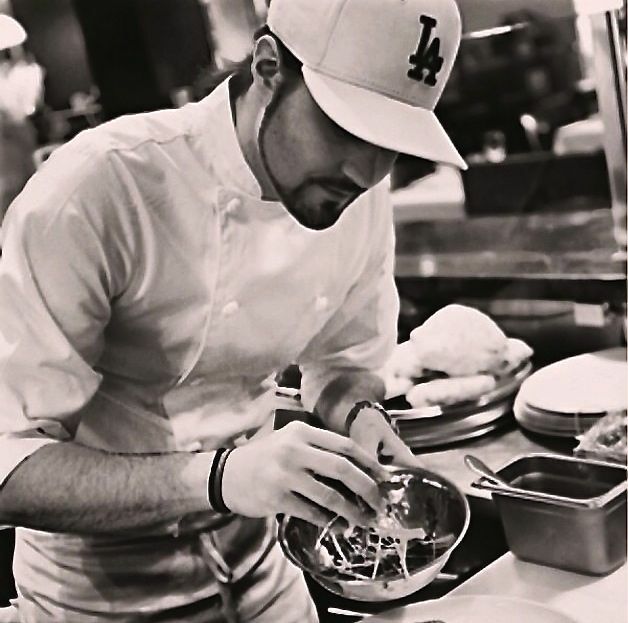 To many San Pedrans, Dustin Trani is still the kid who grew up in the restaurant – a 4th generation chef with 20 years experience (he’s 30) in the kitchen. But many were surprised to see his impressive win on Esquire Networks “Knife Fight” where he made fast work of the task, the ingredient, and Chef Vartan Abgaryan of Cliff’s Edge in Silver Lake. And then there’s the inclusion in many “Top Chefs to Watch” type lists in the foodie press. 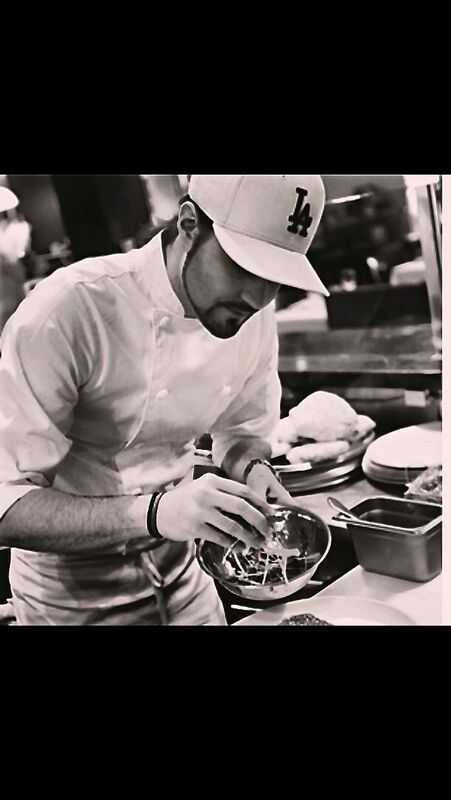 Now Executive Chef at DOMA, he partners with Sonja Perencevic (owner of the iconic Dan Tana’s) to create a classic Beverly Hills gem of a restaurant – to quote Huffington Post “sophisticated and beautiful”. 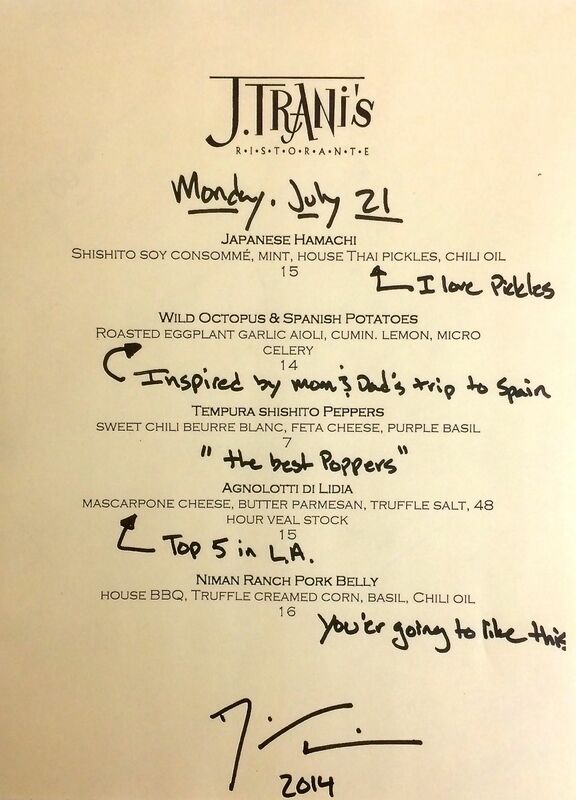 His food continues to be inventive, massively flavorful and somehow old and new at the same time. Time spent in Asia informs lovely combinations of Thai textures and tastes, and often the simplest plates surprise with an extra crunch or contrast or combination of ingredients. 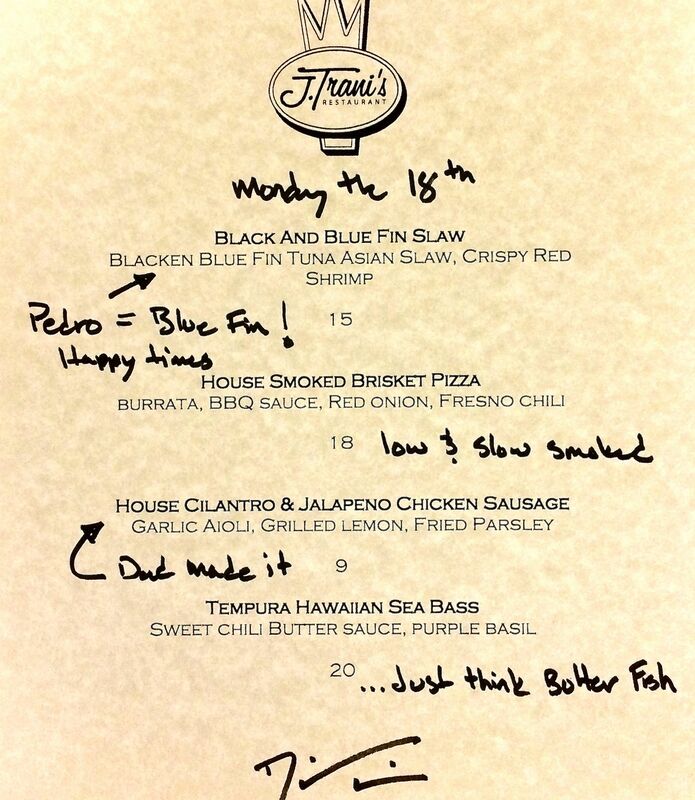 The good news for those who have tracked Dustin’s career is a remarkable pop-up menu some Mondays at J.Tranis on 9th Street in San Pedro. Just a few dishes, some appetizers, and small dynamic mains: these are some of the best plates in Los Angeles and well worth a phone call to check if Dustin is in the house, and if so, to make a reservation!